With high-end 1.5GHz Quad Core processor inside, this is performance driven Sony phone. Now, this is very good phone as it has 2 GB RAM. 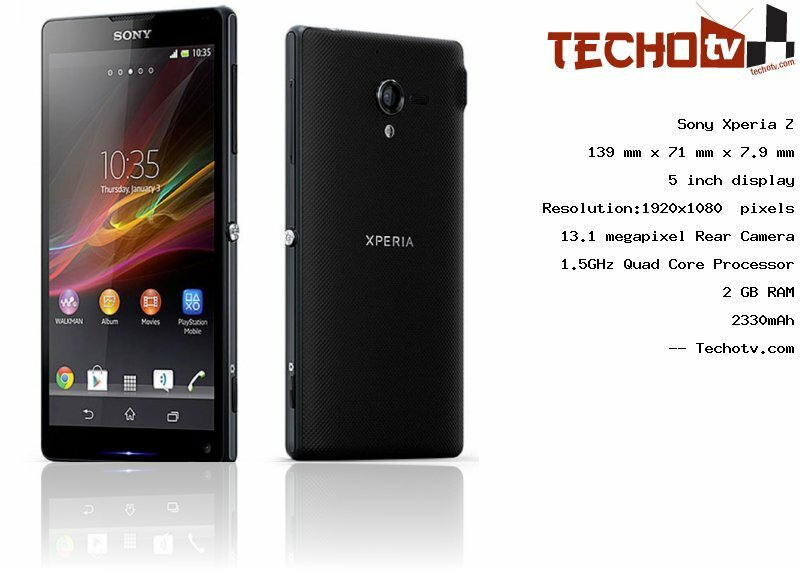 Sony Xperia Z has 5 inch display sporting resolution of 1920*1080 pixels. This gorgeous screen has pixel density of 441 ppi. This device has physical dimension of 139 x 71 x 7.9 mm. We've 16 GB as internal storage capacity on this device. There is 13.1 megapixel primary camera situated at the rear of this phone. On the front, we've 2.2mp, 1080p Video recording camera.